Trust East Coast Mechanical whenever you need fast and reliable AC services. For over 30 years, we’ve served excellent customer service and superior craftsmanship to South Florida. 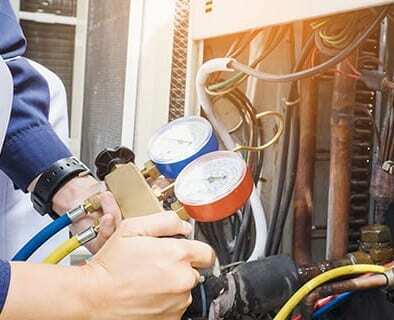 We are also proud to be very involved in the Palm Beach Gardens, Florida community, and we are honored to be the go-to AC repair company for homeowners throughout the area. When you’re looking for the best in AC maintenance, installation, replacement, and repair, turn to us every time. East Coast Mechanical can also help you with air conditioning repairs. It’s the pits whenever your air conditioner isn’t working, and we want to help. Call us any time (around the clock!) and we’ll be there to fix your system promptly and effectively. That’s right, we offer 24/7 emergency AC repairs so that you’re not waiting all night in a sweltering home. We’ll respond within the hour and have your AC unit back up and running ASAP! East Coast Mechanical is the name to trust if you need a new air conditioning unit in Palm Beach Gardens and the surrounding areas. Finally, don’t forget about AC maintenance. East Coast Mechanical offers a full line of air conditioning tune-up options so that your air conditioner is always in the proper working order. Don’t go without seasonal maintenance or risk an emergency breakdown when the summer heat arrives! At East Coast Mechanical, we can do it all when it comes to all things air conditioning. Contact us now for the best AC service in Palm Beach Gardens!